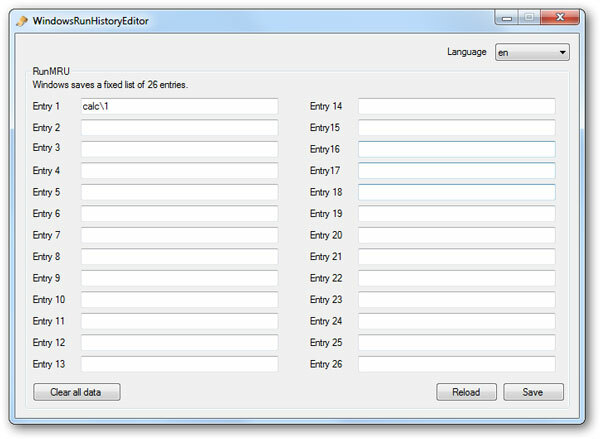 WindowsRunHistoryEditor is a free portable tool that allows you to edit the run history which Windows saves as you run anything from the run dialog box. Windows saves a fixed list of 26 entries. Just run the tool, edit the entries and click Save. To clear all the entries, click Clear all data.